Owners and tenants of manufactured homes using electric forced-air furnaces or heat pumps can have their ductwork inspected for free through Chelan County PUD. 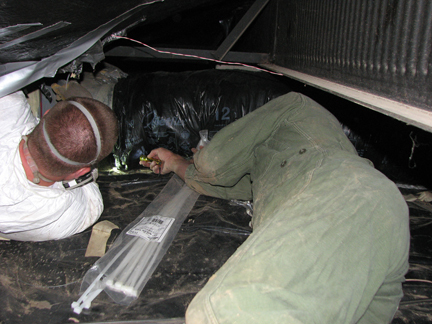 Inspection and sealing of ductwork in a mobile home crawlspace can save energy. This popular program began last year and will continue through 2014. The goal is to save energy and improve the comfort of homes by reducing air leaks. 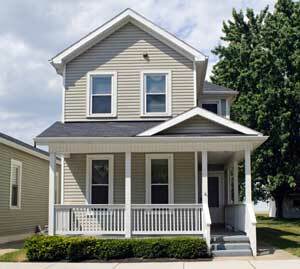 A typical manufactured home leaks up to 30 percent of its heated (or cooled) air into the crawl space. Contractor e-Star Northwest is now taking appointments. You can schedule an appointment by calling (509) 860-5045. • Testing your ductwork using the latest pressure diagnostic equipment and technology. • Sealing air leaks in your ductwork. • Inspecting and sealing crossover duct and connections, and replacing if necessary. There is no fee to replace leaky or damaged crossovers. • Certifying your duct system. Even if no problems are found, which is rare, you can be assured your system meets the highest standards. Note: Technicians will need access to your furnace and all heat registers. Allow approximately three hours for work to be completed. Also, customers using combustion appliances (wood stoves, fireplaces, gas range, etc.) will be required to install a carbon monoxide (CO) alarm in order to qualify for the service. Fires must be out two hours prior to appointment. Questions? Read our flier or call the PUD at (509) 661-8008. From time to time, various companies visit our area selling products with claims of extraordinary energy savings. Customers are sometimes lured into paying for products that don’t work in our climate, or that they could buy at lower cost through local contractors and retailers. A Chelan PUD customer who paid $3,500 for an energy-saving product last year visited our office in December. This customer wondered why home electric bills hadn’t dropped significantly. In January, another customer who paid $6,000 for a product that supposedly would provide significant savings came to us; this customer’s bill had actually gone up. In both cases, the device and materials purchased to slow heat loss were ineffective in our climate (see “attic shield” below). Both customers had purchased the product following a sales pitch at a hosted dinner. If you have a question about the value or benefit of energy products, please call us at (509) 661-8008. Conservation staff can help you evaluate the cost effectiveness of energy-efficiency products and decide whether they’re appropriate for your home and our local climate. It’s also a good idea to contact local retailers for price comparisons. Many window installers from out of the area charge significantly more than local companies for the same or similar materials and work. Tip: Read the fine print. Often, savings are calculated for average retail rates of 10-12 cents per kilowatt hour or more. Chelan PUD customers pay about 3 cents per kilowatt hour. Attic shield. This looks like bubble wrap with a foil face, or a thin foam sandwiched between two reflective, aluminum-foil type surfaces. This is usually a radiant barrier with a small amount of polyethylene closed cell foam. This product will reflect some radiant heat. It has less than a quarter-inch of insulation. In our area, most heat loss is through convection and conduction, not radiation. This product will save an almost immeasurable amount of energy in cold temperatures. Roof reflector. This is a white heat-reflective elastomeric coating. This is often used on mobile homes and flat roofs as a reflective barrier. Works best during times when air conditioning is needed; air conditioning is not a major cost for homes in our area. We are a heating climate primarily. Souped-up surge protectors. Some companies sell these surge protectors with the promise of saving wasted electricity due to poor “Power Quality or Factor.” Although some commercial and industrial customers with large motor loads may see some benefit with improved power quality, they’re pretty useless in homes. Tests done on these types of products have shown no discernible energy savings in a residential application. Space heaters. Out-of-area companies selling space heaters sometimes rent conference rooms at local hotels to promote their products. Before purchasing an expensive space heater, compare it to similar products available at local stores that may be hundreds of dollars less money and equal in efficiency. Find products that DO work in this guide. Researchers at the U.S. Department of Energy’s Lawrence Berkeley National Laboratory have designed a new material to make smart windows even smarter. The material is a thin coating of nanocrystals embedded in glass that can dynamically modify sunlight as it passes through a window. 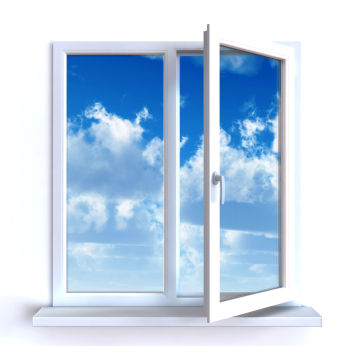 Berkeley Lab researchers said in a news release that unlike existing technologies, the coating provides selective control over visible light and heat-producing near-infrared (NIR) light, so windows can maximize both energy savings and occupant comfort in a wide range of climates. The breakthrough is highlighted in Business Insider and outlined in detail by Milliron and colleagues in an article in the August issue of Nature. Watch the video here. While smart windows aren’t on the market yet, you can improve the energy efficiency of your home by replacing single-pane or double-pane metal-framed windows with new energy-efficient windows. Chelan PUD offers a rebate of $6 per square foot, which usually covers 10 to 15 percent of the cost. Visit the PUD website or call (509) 661-8008 for details.